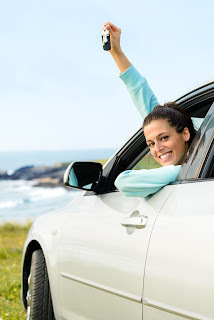 When you’re in the market for a car, the first thing you might want to do is start by searching online. You can find statistics about almost any car ever made, research vehicle pricing, read blogs and opinions about different makes and models, and even look up reviews on places to purchase a car. But with all the advice out there, sometimes it can be overwhelming! The Community Financial Auto Resource Center gives you access to all of that valuable information to help you with the car buying process, all in one place. Community Financial’s partnership with CarQuotes.com lets you look at the latest models, read reviews, check dealer inventory of new and used vehicles and calculate your monthly payment. Whether buying with cash or applying for a loan, it’s important that you get a quote before you actually go shopping. That way you are more prepared on what you are looking for when you meet with sellers or dealers. You might think color and trim are most important to you when searching for a car, but when it comes down to deciding what vehicle to buy, the numbers usually do the most talking. Be sure to use the Car Loan Calculator to help you determine what kind of payment you can afford. Want to make a trade but not sure what your current car is worth? You should consider the sale of your current vehicle as a separate transaction, even if you plan to trade it in. Our Auto Resource Center can provide a Free Valuation Report emailed to you with both retail and trade-in valuations. With the CarQuotes Valuation Report, you enter basic information about your vehicle, choose a replacement vehicle, and receive an email report with both the retail and trade-in valuations. You can also visit Kelly Blue Book for an independent assessment of your vehicle’s value. Any expert shopper will tell you that one of the best ways to make any car buying decision is by doing a side-by-side analysis of your different options. This will help you weigh which features are important to you and which you can live without, saving you a lot of money in the process! For instance, if you find out that the only difference from one model to the next is Bluetooth, it might be more reasonable to buy a headset or have that feature installed in the less expensive vehicle! Community Financial is committed to serving its members and is always looking for ways to help them achieve their financial goals. We have your best interest in mind and will work with you to get you a low-cost loan. With our low auto loan rates you’ll be able to afford more car, set up convenient payroll deduction and track your loan with our mobile app. Don’t get pressured into a loan that is best for the dealer and not for you. Call today or apply online before you shop.